When one thinks about trying to build as much muscle as they can, they believe they have to work their way up to being able to bench press a maximum lift that competes with some of the strongest linemen in the National Football League – we’re talking close to 400 or 500 pounds total. In addition to that, some linemen can have a maximum squat lift around 600 or 700 pounds. But like many different things in life, you don’t have to rely on just one way to get the results you desire. There are a number of ways to build muscle at the gym without having to stack the 45-pound plates on each side of the bar to the point where there’s not even enough room for the weight clips. Some of these approaches will also allow you to be able to reduce the risk of injury that can come with trying to lift extremely heavy weights. While so many people in the gym are used to having to lift heavy to build strong muscles, recent studies have found that you can receive just as many muscle building benefits from lifting lighter loads as opposed to going heavier. That doesn’t mean you should only lift small, especially as you continue to develop as an advanced lifter with a lot of experience – it only means you can alternate between heavy lifts and quicker and lighter exercises. Focusing on speed for your strength workouts begins with using a lower percentage of your maximum lift’s weight and allows you to do more speed training with the bar and a little weight. This stretches your muscles’ reflexes and allows you to develop the ability to build momentum on your lifts quickly. Your body will also provide a boost to the recruitment of more muscle fibers in those areas you work out. This faster weight training approach is actually used by a number of athletes who can benefit from being able to produce a lot of power with a short amount of time. A perfect example is a baseball player who is swinging for the fences for a home run. Consider the power as a way of showing strength that is explosive. The speed training usually starts with taking your maximum lift amount and calculating it down to anywhere between 45 and 65 percent for sets of about two to six repetitions with as much explosiveness that you can muster. The best way to accomplish this workout is to perform each rep with the most effort you can produce by picking up or pushing out – depending on the type of lift – as fast as you can and as explosively as you can. Imagine doing squats in this speed realm, you will want to quickly descend into position and pause for a moment before getting up as fast as you can, using your feet to push the rest of your body from the ground. At the same time, you must still maintain your proper lifting form without slacking. In fact, this is the best time to improve your lifting techniques overall. The amount of work that you put into the lifts requires a large amount of intensity on your part, like deciding how many sets and reps you can handle. The goal over time is to be able to build on that workout capacity by performing much quicker sprints in your lifts regularly each week. The beauty about this type of lifting is that it an anabolic form of cardiovascular exercise that not only allows you to improve your cardio health but also allows you to build muscle growth and overall strength. At the same time, you won’t deal with the type of impact that running can actually cause while still providing a very intense workout. You should use sprint lifting as an additional part of your workout without making yourself so physically tired that the rest of the week in the gym is compromised. Even though the sprinting style can be utilized in running on a track or even bicycle riding, you will actually burn a lot of calories doing sprints on the lifts – as well as having the similar approach for work on prowlers and sleds (if your gym or fitness center has this type of equipment available). When doing the sprint lift workouts, you won’t need to do any addition cardio exercises. Afterwards, make sure you get plenty of sleep that night and enjoy a few good meals for a good amount of calories – both will lead to a better recovery before you continue tomorrow with your overall training plan. Before you can have the muscles of a similar size to big name bodybuilders, you need to work on your body’s composition when it relates to how much fat you have and how much lean muscle you have in comparison. If you’re going to add more muscle, you want to start with a more lean and defined body frame. Common sense does make a point to state that someone with more muscle will be stronger with one who has less. But burning off the excess amount of fat will allow you to have a good starting frame to build on top of – maximizing the amount of muscle and potential strength per pound of your total body weight. 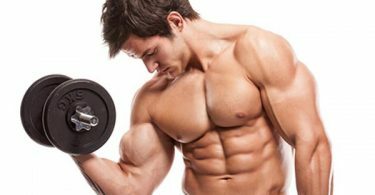 When focusing on building leaner muscle, you want to make sure you have sets that have you lift anywhere from eight to 12 reps.
At the same time, you will want to change your diet plan to being careful how many total calories you are consuming while making sure you are still getting the necessary amount of proteins and carbohydrates to fuel muscle growth and development. Focus on doing many of the major lift exercises – i.e. bench press, squat and deadlift – but also add some exercises that provide some isolation movements to provide your full range of body and enhance hypertrophy as well. When one thinks about trying to build as much muscle as they can, they believe they have to work their way up to being able to bench press a maximum lift that competes with some of the strongest linemen in the National Football League – we’re talking close to 400 or 500 pounds total. In addition to that, some linemen can have a maximum squat lift around 600 or 700 pounds.